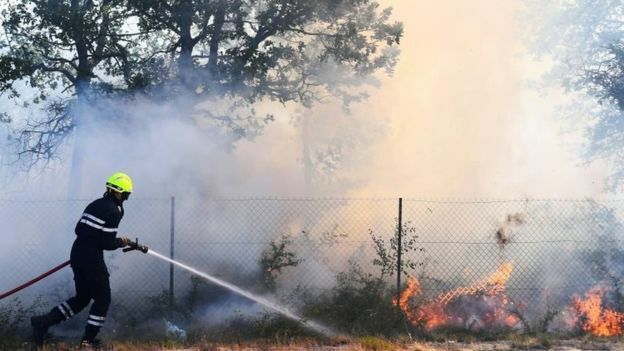 Hundreds of firefighters have been deployed to battle the fires near Bormes-les-Mimoses, in the country's Provence-Alpes-Côte d'Azur region. "The evacuations, at least 10,000, followed the progression of the fire," a fire official was quoted as saying by the AFP news agency. "It's an area that doubles or triples its population in summer," the official added. 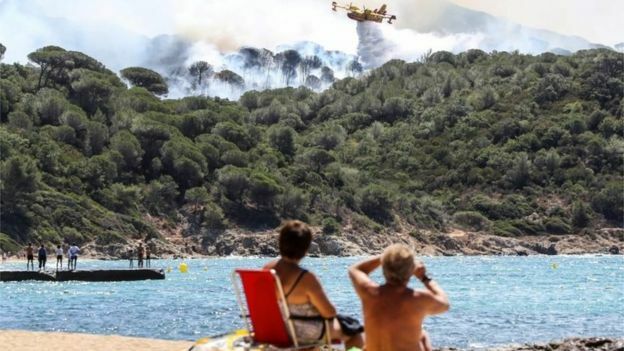 One of the worst fires is raging in an area near the popular resort of Saint-Tropez. 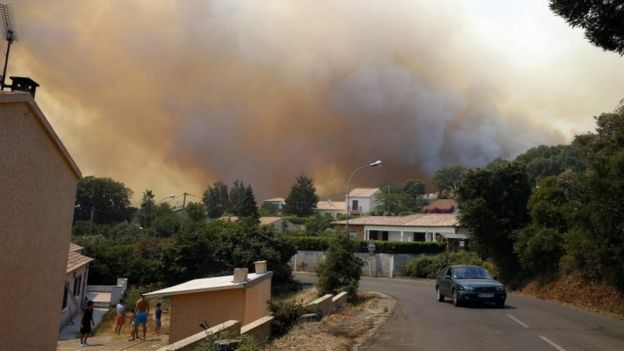 In Corsica, hundreds of homes have been evacuated. Overall, more than 4,000 firefighters and troops backed by water bombers have been trying to extinguish the flames since Monday. At least 12 firefighters have been injured and 15 police officers affected by smoke inhalation, officials say.